In 1961 during the construction of Peel power station, on the Isle of Man, local haulier S.J. Woods Transporters of Peel sub contracted to Edward Beck & Son Ltd the movement of the large diesel engine generator beds from the main land. The series of photographs below, taken by Stan Basnett, show the delivery of the engine beds which arrived onto the island via the port of Douglas. 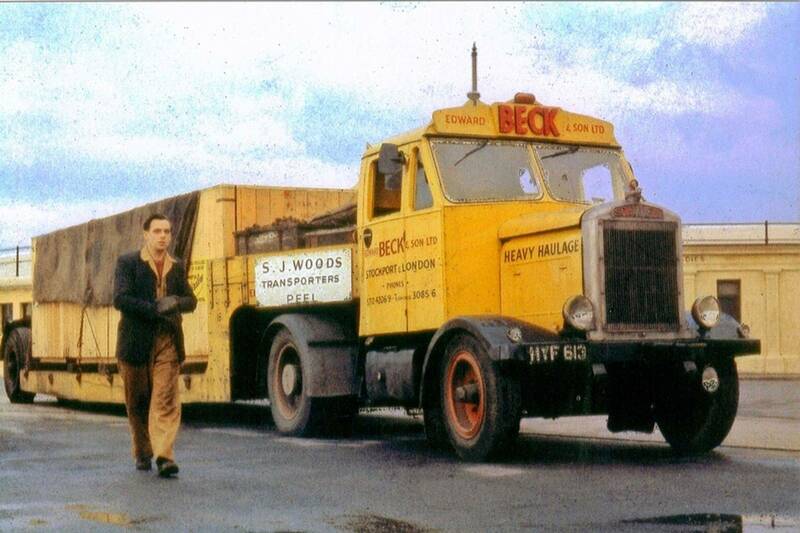 Scammell 4x2 tractor unit Reg No HYF 613 is seen here shortly after arriving by ferry on to the island at Battery Pier Douglas. It is hauling a low-loader with a large engine bed on board destined for Peel power station on the other side of the island. 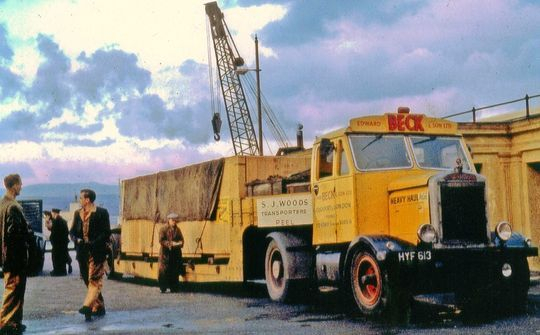 Scammell 4x2 tractor unit Reg No HYF 613 prepares to leave Battery Pier in Douglas destined for Peel power station on the other side of the island. 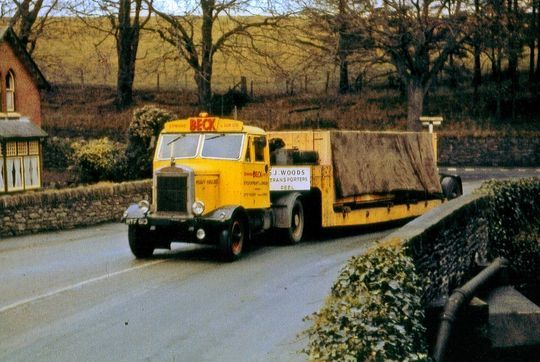 Pictured here on the A1 at Braddan Bridge Braddan on the Isle of Man, Scammell 4x2 tractor unit Reg No HYF 613 heads out to Peel power station on the west side of the island hauling a low-loader with a diesel generator engine bed on board. A special thank you to the former Isle of Man surveyor general Stan Basnett for supplying these superb colour photographs. You can find more of Stan Basnett's interesting photographs that he has taken on the Isle of Man by clicking HERE.